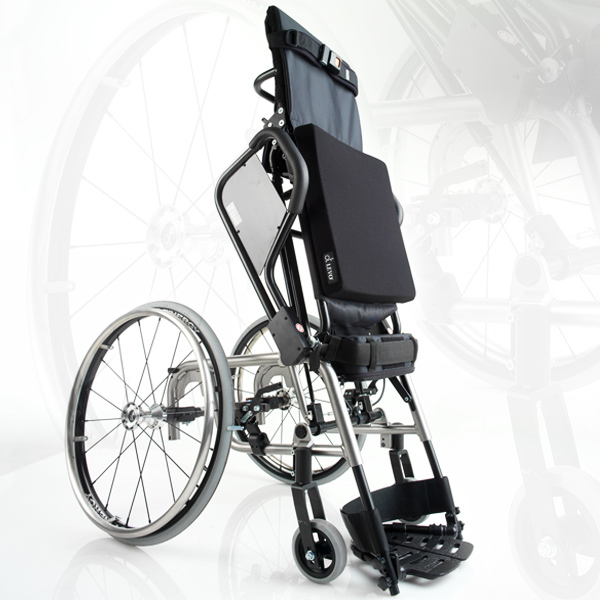 The LEVO LAE is our lightweight, manually propelled, manually standing wheelchair. 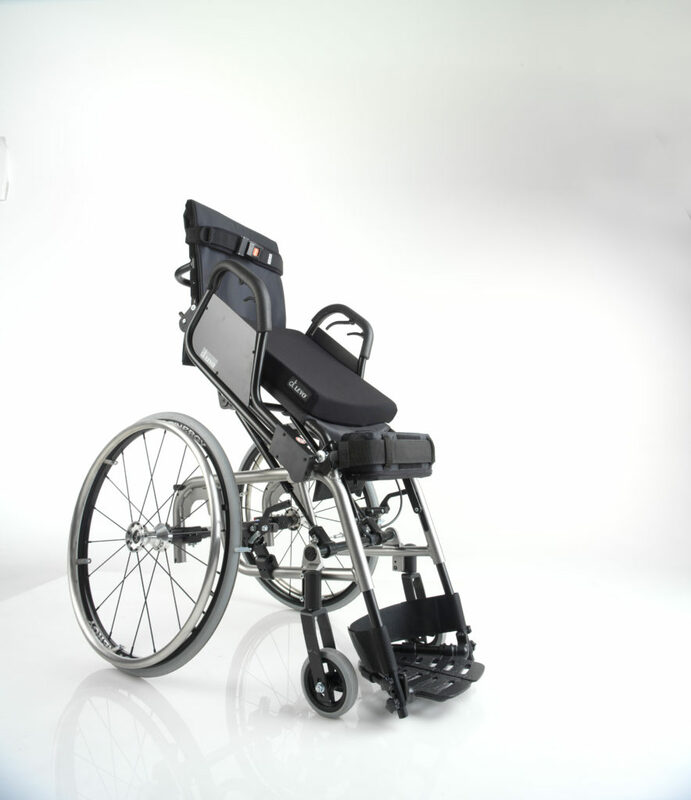 The lightest sit-to-stand wheelchair available, its aircraft-grade aluminum frame is easily transportable and smoothly transitions from sitting to standing with the assistance of gas springs, allowing you to enjoy an active lifestyle while taking advantage of the numerous benefits of standing. 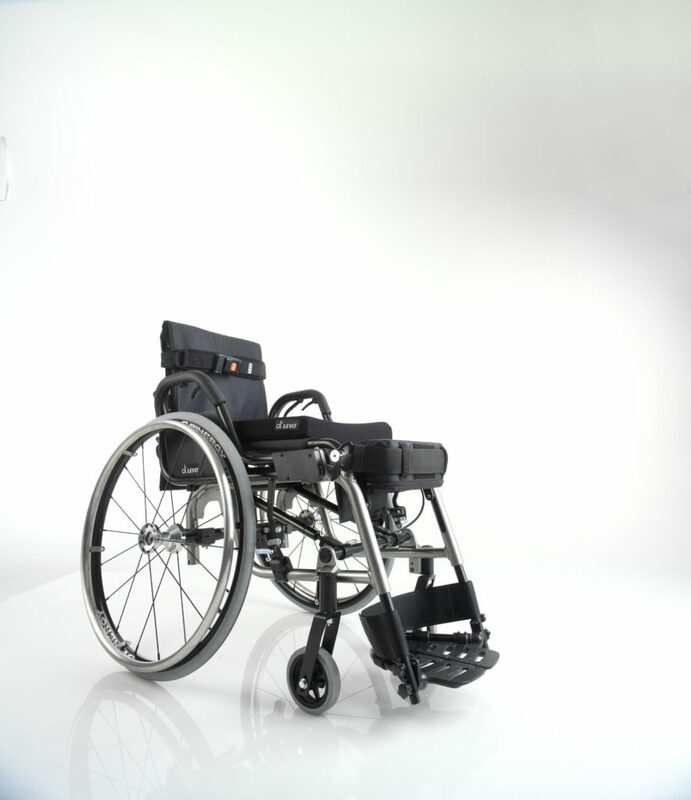 With the LAE, you can rise to any occasion, anytime and anywhere! Standing in the LAE is simple, smooth and easy. 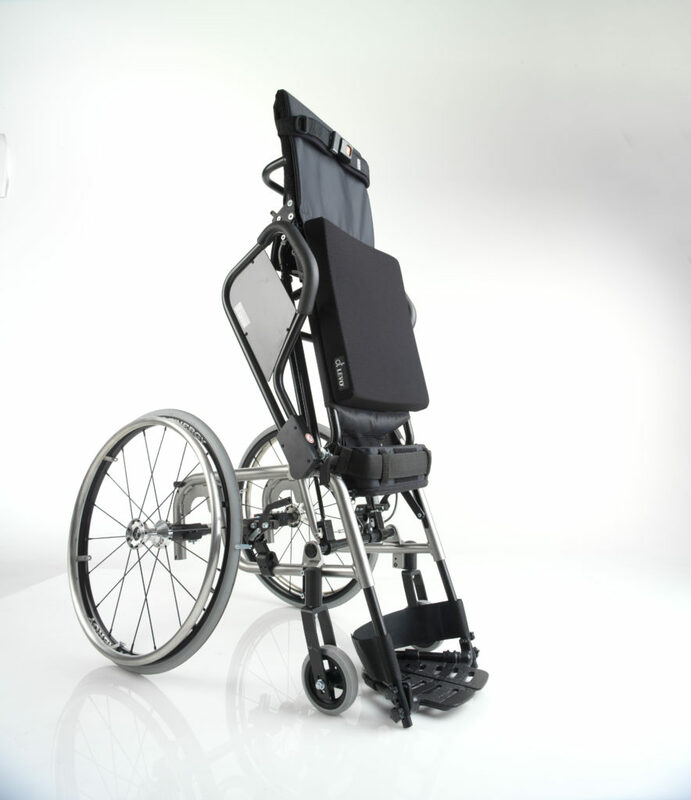 Integrated into the aircraft aluminum frame are two gas struts which assist the client to rise to a full standing position. 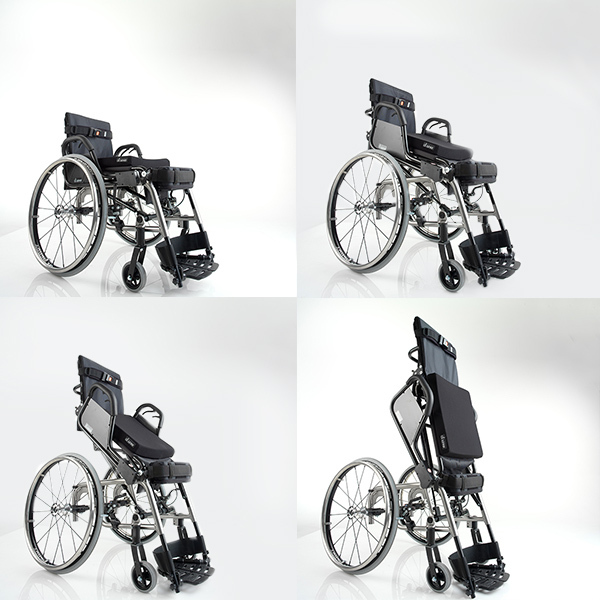 Independence and function are key as you elevate to reach objects at the store, at home and in the workplace. Or maybe you just want the fulfillment of meeting a loved one eye to eye and delivering a welcoming hug. 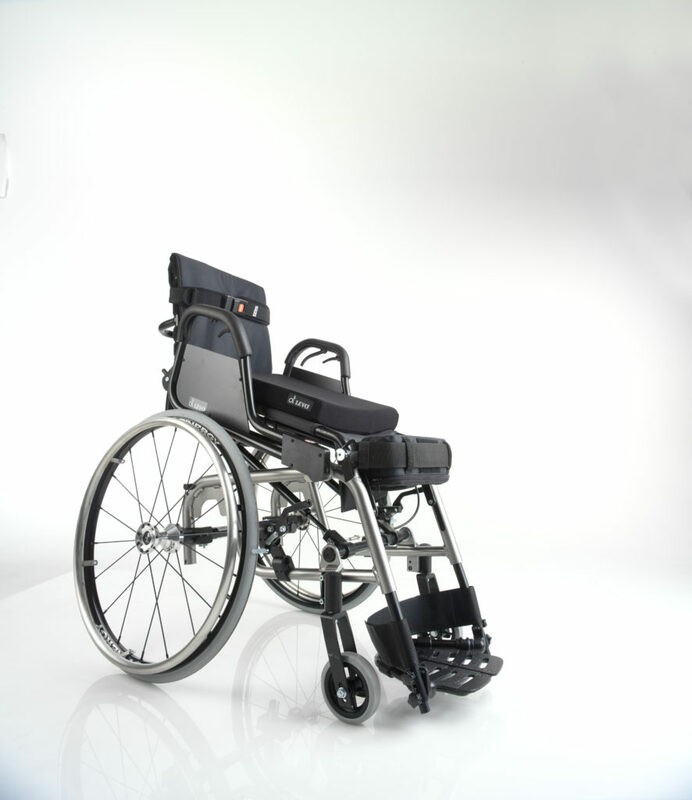 Another unique feature of the LAE is its ability let you pause at any vertical position on the way up, allowing you to choose the position that is most comfortable and functional for you. And, remember all the potential health benefits of standing; pressure relief, bone strength, respiratory, reduced spasticity, circulation and digestive benefits just to name a few.